The holidays are a wonderful time to reach out to friends and family both near and far. Now that you are officially a couple, holiday cards are the perfect way to share you love. And while we all wish we could see each of our loved ones in person or give them all a personal call, sometimes old-fashioned snail mail is the most effective way to connect. So send some festive holiday cards! For the newly engaged or the recently married, it’s a great way to share your exciting news and give thanks for a great year, but the process for a first-timer can be a little overwhelming. Here’s your guide to making the card-sending process a joyful one this holiday season. 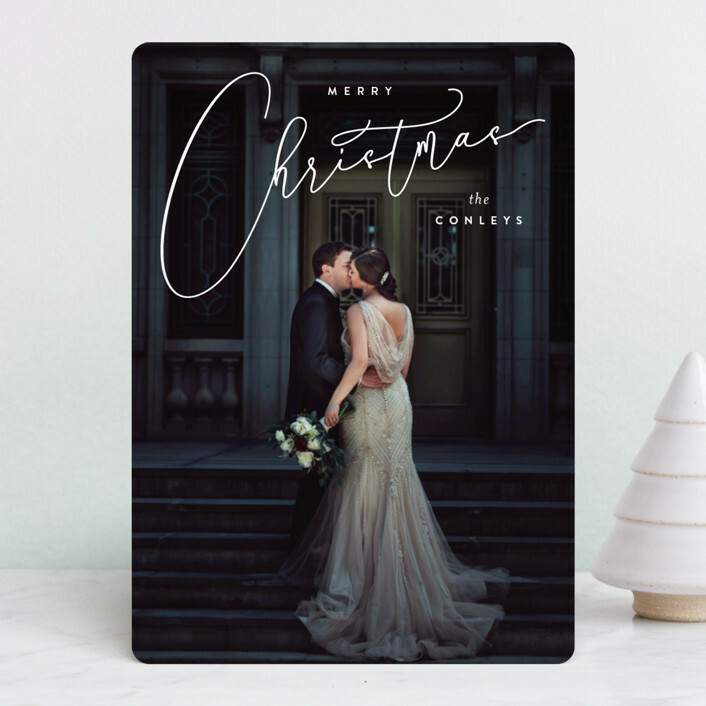 Minted offers thousands of elegant holiday card designs from their network of independent artists.For high quality and customizable holiday cards they are definitely a great source for gorgeous holiday cards. For a super streamlined holiday card experience, Zazzle is a great option. They offer address labels, holiday stickers, and even holiday stamps to match your holiday card design. What’s not to love about that? 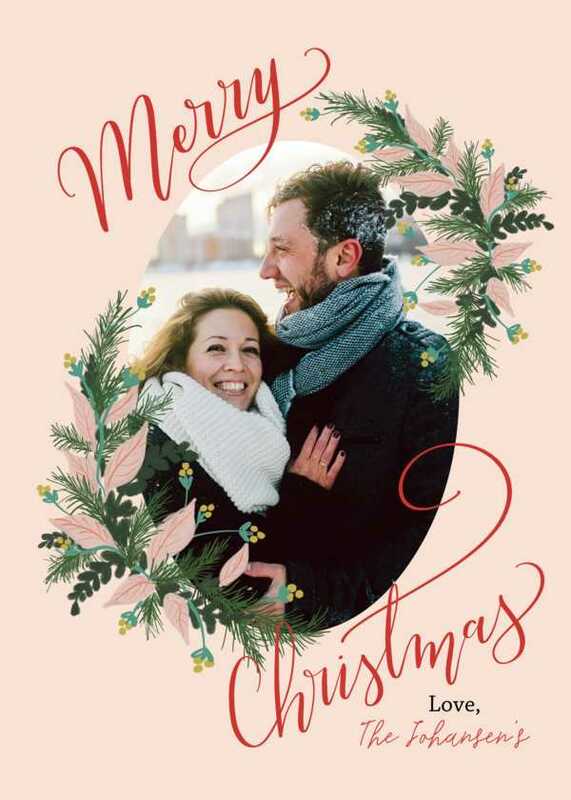 Etsy is a the perfect place to find unique holiday cards for the couple looking for something more personalized. Looking for something funky and funny? 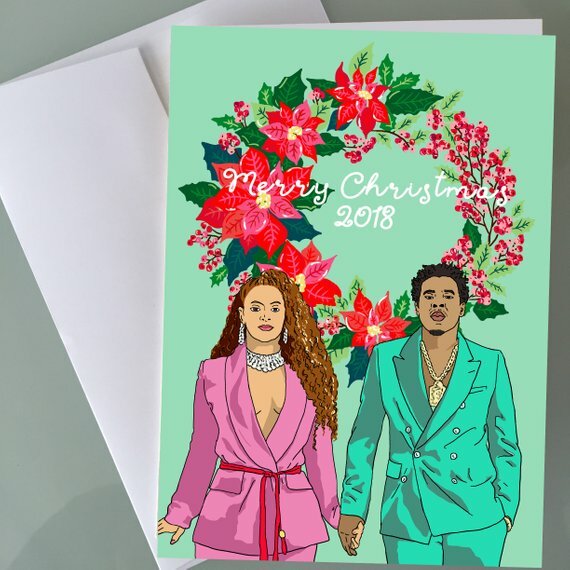 We are obsessed with this Beyonce & Jay-Z holiday card. Not sure where to start? 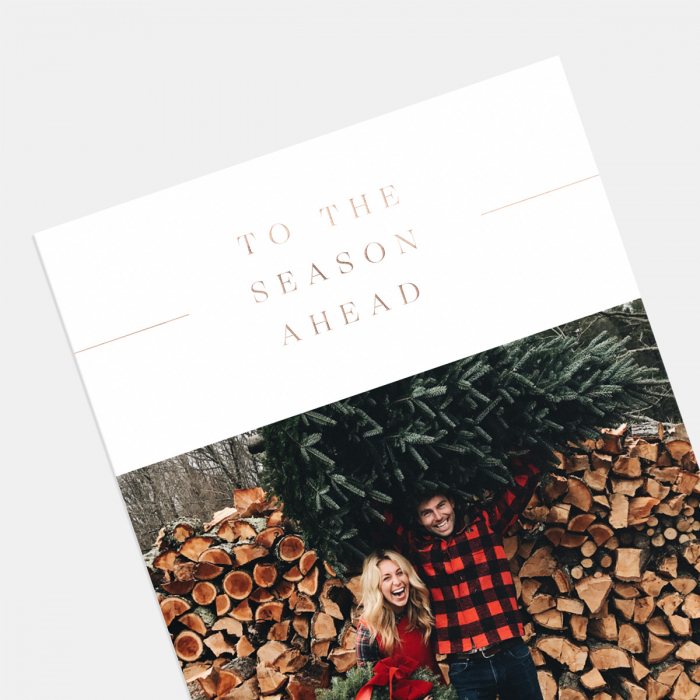 Shutterfly has a wide arrange of modern holiday cards, plus you can double your holiday card as your save the date. If you are a more classic couple, Fine Stationery is a great option. They offer some premium holiday card designs along with matching envelopes. If you are looking for simple and affordable holiday cards, Mixbooks is a great place to shop. 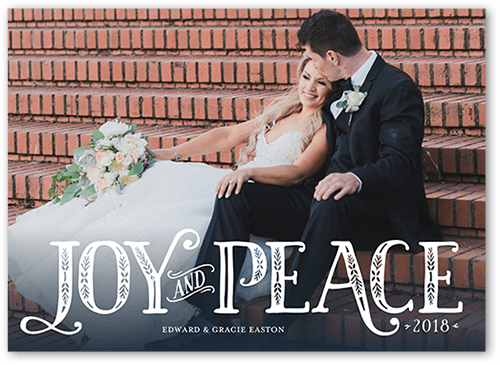 While they have a wide variety of cards they are always offering discounts and promotions so you can save a pretty penny on this years holiday card. Looking for a more elevated and sophisticated holiday card? Artifact Uprising is a premier destination to order your holiday cards. From letterpress to foil-stamped cards, Artifact Uprising has so many luxury holiday cards to choose from. Figure out who’s on your list. While you may feel inclined to send a holiday card to everyone you know, it’s not necessary. Holiday cards are meant to be meaningful, so sit down with your partner and figure out who would truly enjoy getting something in the mail from the two of you. While your Be sure to send season’s greetings to anyone who attended your engagement party or wedding, your close friends and family, and the people you care most about that live far away. Then add in anyone else you see on a regular basis, from your boss to your And, if you receive a card from someone that didn’t make your list, make sure you send one back! Order more cards than you think you’ll need. Once you have your list of recipients, it’s time to order your card! But don’t order an exact amount. If you’re sending out 100 cards, order 120. Remember that more is always better when it comes to personalized cards. You’re bound to make a couple of mistakes, especially if you’re including a hand-written note or salutation. There’s nothing worse than receiving a heartfelt card that’s riddled with crossed out words, addressed to the wrong person, or includes a misspelled version of your name. Prepare for those human errors ahead of time to save yourself some hassle. To make sure you’re putting your best foot forward, have your partner spell check everything before you seal the envelope. Determine your holiday card style. Start with the front of your card; what do you want it to say? Do you want to include a photo or a simple holiday greeting? If you recently got engaged or married, you might want to consider using one of the photos from your engagement session or wedding day photo shoot. Those professional photos are probably some of the best shots you’ll ever have taken of you, and you won’t be able to use those pretty pictures forever! Just be sure the photo you choose is something you’d want to share with everyone, including your grandma and potentially the mailman. Don’t want to use a photo of yourself? Consider using one of your pet instead! If you opt for a card with a message, get a variety of greetings to keep each card appropriate to the recipient. 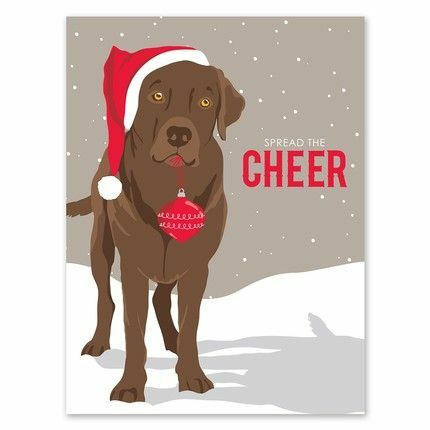 While generic “Happy Holidays” or “Season’s Greetings” cards are the safest bet, a more holiday-specific card shows you put some thought into your selection. Send Christmas cards to your friends who celebrate Christmas and Hanukkah cards to your Jewish friends. They’ll appreciate the extra effort. Newsletter or short note? Holiday cards are the perfect opportunity to update your loved ones on what’s going on in your life. 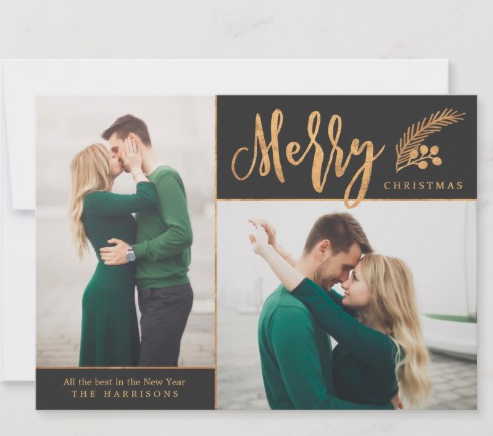 If you opt for a newsletter-style card, include some of the highlights of your year, like the fact that you got engaged or married, moved in together, got a puppy, went on an exciting honeymoon in Bora Bora, but don’t brag or overshare. The point of a longer, informative note is to share the experiences that made the year unforgettable, NOT to impress or outdo your friends and family. Another option is to include a short, personalized note for everyone on your list. A few sentences will usually suffice, but feel free to write more. Mention something about how much you enjoyed seeing them if you met up recently or about how you can’t wait to get together again in 2015 (at your wedding, perhaps?!). The more personal the note, the more sincere the gesture will feel to your friends and family. Use your own handwriting wherever possible. While it’s the thought that counts, not all holiday cards were created equal. Typing up a note in Word or ordering cards with a pre-written message inside will save you a LOT of time and energy, but that’s not quite capturing the holiday spirit. At the very least, you and your partner should sign your names at the bottom of each card. If you have more time, add a hand-written note inside of the card. Even more time? Address the envelopes by hand. When you use your own handwriting, it gives your cards more of a personal touch and shows that you care enough to take a few minutes to give each card the attention it deserves. Include your return address. Whether you hand-write your return address or order envelopes with it already printed on the back flap, it’s important to include your return address. First of all, it lets the recipients know who the card is from right away…making them more excited to see what you have to say! Also, it ensures that your loved ones have your current address to keep in their files in case they want to send you a note in return (or…that belated wedding gift!). This detail is especially important to include if you and your partner recently moved in together or bought a new house together. Track down their addresses. If you recently tied the knot, you may already have the current addresses of all your loved ones. If you don’t or you aren’t sure, make sure to confirm the details before you send anything out. Ask your parents and your in-laws if they have up-to-date information on your relatives and family friends, or reach out to everyone personally via email. You could also send out a mass email requesting your friends and family send you their current address, but PLEASE be sure to bcc your list so that you’re the only one that gets the responses. You’re putting the time and effort into sending out your holiday cards, so make sure your family and friends actually get them! Start sending your cards out early. As you may have found out from addressing your save-the-dates or writing your thank you notes, sending out cards to 50-100 people takes time. To avoid an all-night card-writing sesh, start the process earlier than you think you need to. Ideally, you want your cards to arrive in the height of the holiday season (mid-December), but these days most people don’t mind having a few card trickle in after the New Year. Remember that the holiday season is already busy enough (for you AND the post office) so don’t leave the addressing, note-writing, and mailing to the last minute.